After several days I´m here with a new review~ Quality over quantity (。≖ˇ∀ˇ≖。) But sometimes is complicated edit the video and edit the pics with all the obligations but step by step~ I hope to by the end of this month has the most of my delayed reviews here. I can´t promise nothing but I´m making my effort for that. I lost a lot of time the weeks I was sick, but well I need move on. The vacations are over and I´m bck to the hospital and College and I need study a lot for my exams, yeah the life is busy. But I feel happy to write this review for you. General Opinions: Well I love it these eyelashes because are very light and the band is transparent so that is great for a more natural makeup. Obviously the volume is very noticeable and the fiber is very light. The packaging is cute and the price isis very affordable just $5.44 in Bornprettystore and the package contains 5 pairs of eyelashes. 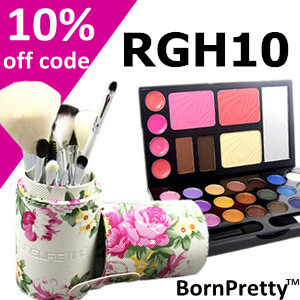 (*´・ｖ・) Like all the products that I received from Bornprettystore are very good. 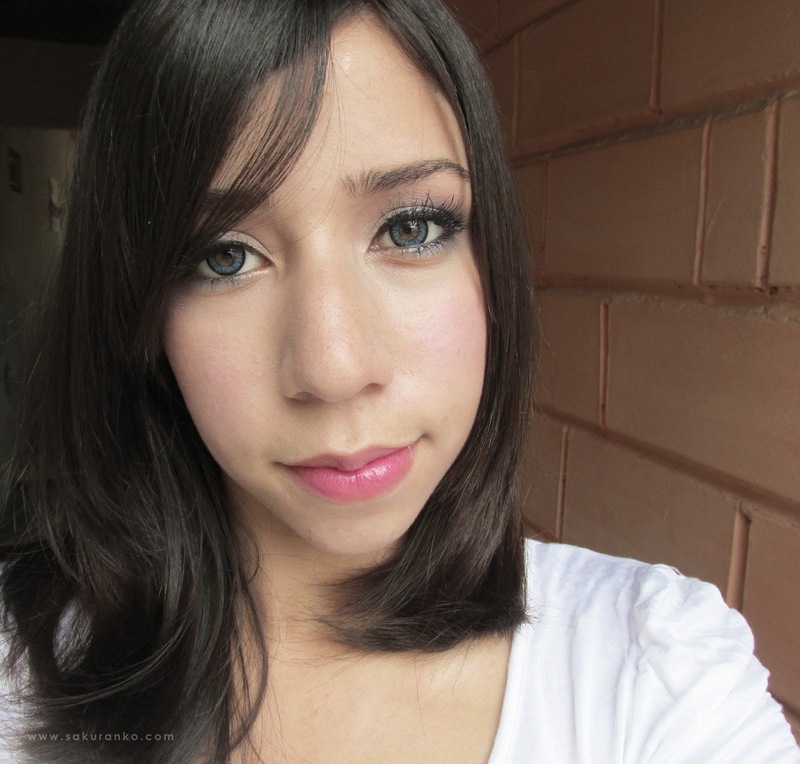 The quality is excellent and I´m very happy with these eyelashes. Now the only cons that I can find s that ony way for buy this product is online. Another god point is that this eyelases are reusable (obviously you need a good makeup remover + cleanser foam) and I recommend to 100% this product. By the way you can cut these eyelashes to half and make falsies for the corner of your eyes. 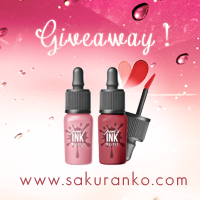 (*⌒∇⌒*)ﾉ I hope you enjoyed this review! I´m not sure what happened with this week but for me flyed is exactly midnight and technically is Friday! So happy friday review! And certainly is friday hahaah ⊂((・▽・))⊃ Seriously I´m so annoyed with myself because I need work more fast in the revies. But step by step is now for me. Sincerely I feel relief because I feel that is a less review for make. But I enjoy make the reviews so right now I´m happy! (￣▽￣)ノI´m a odd girl. (*＾▽＾) / Please support my video review! 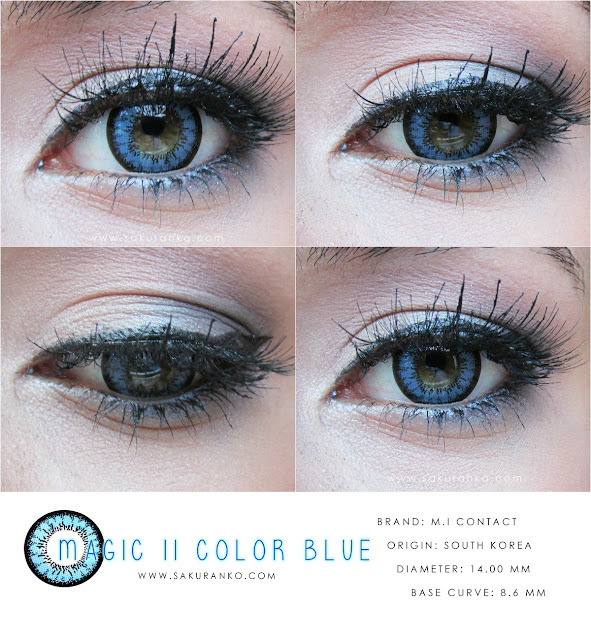 ✺ Design/Pattern + Color: These circle lens has just two colors and are very plane: blue and black. The strong border black makes this lens looks more suitable for a dolly effect, now the design is like a flower, maybe this is a circle lens for an effect dolly and obviously less natural. 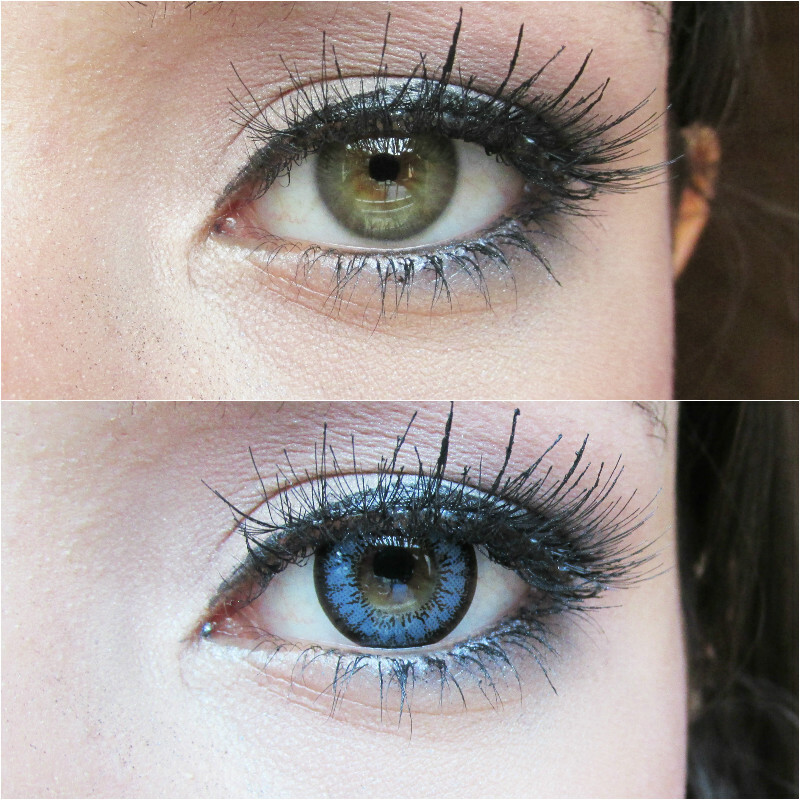 Something important is that due to my light natural eyes the color and design doesn´t blends to my natural eyes. But the effect is pretty and If you use the correct makeup looks very nice.  ✺ Comfort: I used more comfy circle lenses, these circle lenses dryes my eyes and I need contact lens eyedrops because my eyes become very dry. And that is really annoying. ✺ Enlargement: The effect is very minimal, even I think my eyes looks more big naturally than with these circle lenses and that is really funny because one of the things about the circle lens is the enlargement, I think this is because the color are very plane and the diameter is just 14.00 mm and that is a factor because this circle lens not provides a great enlargement. ✺ Overall: I like it the blue color because is pretty is a lovely blue and make my eyes looks more deep. 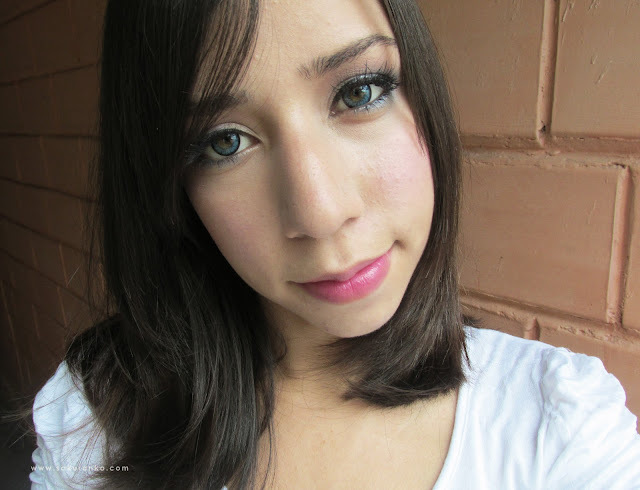 This is that type of circle lenses that you need use an strong eye makeup for use it, and the reason is because are not natural and that point you need intensify your eyes with false eyelashes and a bit of more makeup. But I love it how my eyes looks more deep and not pop and that is a bit of inverse of the currently circle lenses that I used. I don´t like the fact that are a bit uncomfortable and that is a bit annoying. I like it the effect and are very pretty. I don´t feel like dead fish with them. Wow I´m not sure why publish this review was so complicated but the most part was about the video review. I want to make a good video review and well that was a bit complicated because ⊂((・▽・))⊃ I want make good video reviews and after I recorded the video review I didn´t like it~ And I had to record the video again and after hat I have to edit the video and was all a process. 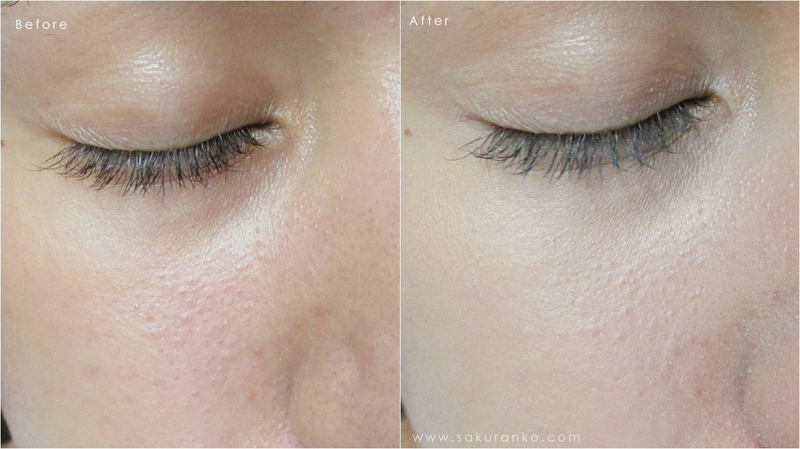 But I´m here with this wonderful product the Etude House Lash Perm Curl-Fix Mascara Brown. This is a great product and a great mascara. This product I received from the store KPOPTOWN for review purposes and was a great choice. ✾ Packaging + Price: I love it the pacgaging and well in this case for me the brown is more pretty this time than the balck because the white on a black tube is very normal and this time all the design over the tube is brown, I hope try another colors. The range of price is arounnd $10.71 USD in KPOPTOWN without shipping includded but for me the price is very reasonable because this product is very good. ✾ Brush + Formula: This is the most important fact about a mascara, first this product is waterproof, smudge proof and long lasting and you need a great makeup remover for clean this mascara. Now the brush curls perfect the eyelashes you don´t need eyelash curler because this makes a great work. This brush has two part on side for the upper and the other for the bottom eyelashes. And this is brush add a great volume to my natural eyelashes. - The formula is long lasting. - The color is quite intense. (◍•ᴗ•◍) For me this is a great product is all that I´m looking in a mascara, my problem always with the mascaras is the volume and that the eyelashes mantained the curler effect for a long time and just few mascaras provide me that curler effect and the sime volume without grumes. (∗❛ัᴗ❛ั∗) The brush is perfect for reach very well even the most small eyelashes and that is great because the difference of me with and without mascara is very noticeable. This is a great mascara and I want try the black and the burgundy color too. I recommend this product to 100% I´m very happry with the results and the price is very reasonable. ❁ Packaging + Price: The price it was around $8 USD in the drugstore (I don´t know about the price online). This product is just a tube with nothing special so the packaging is normal and i don´t have nothing more to say about it. ❁ Formula: This product contains in the ingredients Latic Acid that works very good cleansing the pores without drying the skin. And the micro particles helps to smooth the skin and the best part of all is that works perfectly on my skin. - Helps to prevent the acne. - Remove the impurities without dry the skin. 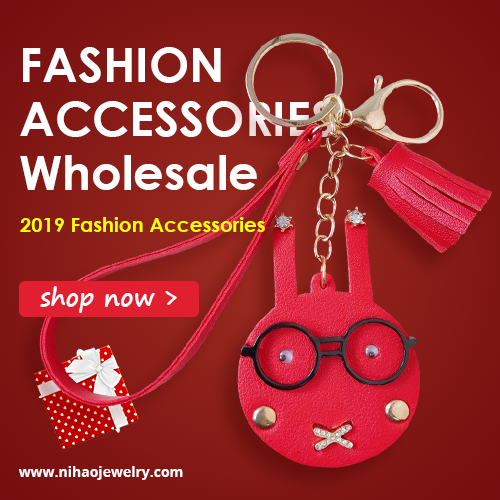 - On many countries you ony can buy this product online. Like some of you know I have sentive and very oily skin. This is always a problem because find the right scrub is like a sail. Well, ~ヾ(＾∇＾) I´m super happy to find this scrub because is amazing for my skin. The best is that the micro particles are no so hard and that is very good for my sensitive skin. This helps me to reduce the redness and of course cleans my pores. I recommend use this product twice per week (I use this way) and not daily because can be a bit hard for your skin (even if is really soft with your skin) And well this is a great scrub. I tried products from this brand before but this is my first time writing a review. I hope write more reviews about this brand of future because is really good. o(｀・∀・´)○ Thanks for your comments and support!